If "The Lorax" was based on a real person, it'd be Sam Powell. Powell, a lifelong environmental conservationist, died on Feb. 8 at age 86. In a nod to the 1971 Dr. Seuss children's book, Signal Mountain Mayor Dan Landrum said, "Signal Mountain lost its Lorax." "The Lorax" is a tale of an ambitious businessman who harvests an entire forest of "Truffula Trees" to make luxurious "thneeds." In the book, the Lorax speaks on behalf of the trees and warns of the consequences of environmental ruin. Powell, who previously said that his late wife, Emilie, was his inspiration, built his legacy through the preservation of Chattanooga's green spaces. "He was an incredible leader with a beautiful, gentle spirit and had a great knack for unifying people toward the common goal of protecting open space," said Rick Huffines, executive director of the Tennessee River Gorge Trust. 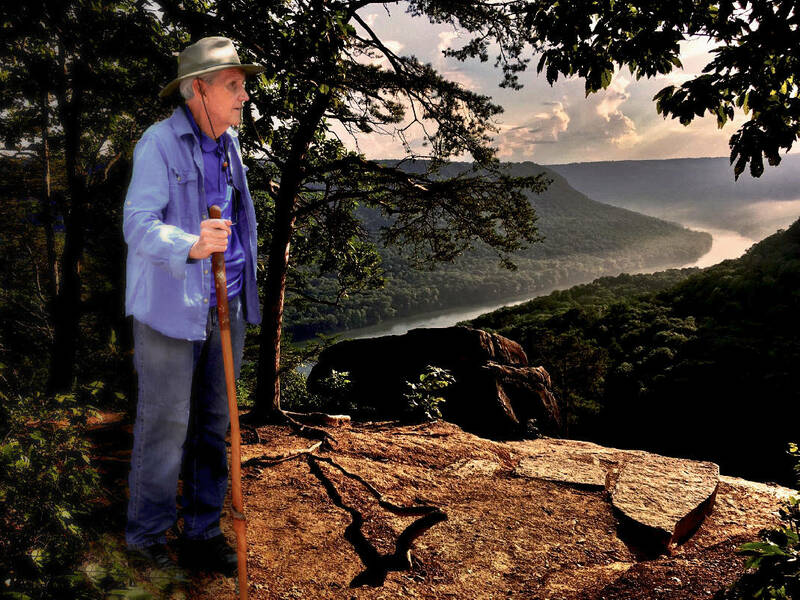 Powell was a founding member of the Cumberland Trail and the Tennessee River Gorge Trust. He helped build Shackleford Ridge County Park on Signal Mountain and was the first chairman of the Cumberland Trail Conference. He also made bird houses for bluebirds, his longtime friend Bill Fronk said. "So there are many happy bluebirds around the whole area because of Sam," Fronk said. Powell was a well-connected and well-liked man, Fronk said. Fronk worked with Powell while building the hiking trails in Shackleford Ridge County Park. "He knew so many people," Fronk said, and that helped Powell gather donations and supplies to build as many trails as they did. In 1950, Powell graduated high school and began working for Duck River Electric as a groundman. Shortly thereafter, he took a job with the Tennessee Valley Authority as a lineman. His job was to travel across West Tennessee building rural power lines. Powell was also involved with the Boy Scouts. He spent his childhood earning merit badges and eventually became an Eagle Scout. That experience determined his role in the military. After basic training, Powell remembered, most of his company was sent to Korea, he previously told the Times Free Press. But he was left behind, along with a select few — all of whom were Eagle Scouts, he said. A commander told them, "We know the Eagle Scouts have a reputation of finishing what they start." And so Powell was sent to leadership school in Augusta, Georgia, avoiding combat. The Boy Scouts also gave him a keen appreciation for maps. Every time he moved to a new city, he would study its road maps and topographic maps, learning important physical features of the land — knowledge that would later help him change the face of Chattanooga. Around 1975, the Tennessee Trails Association formed to bolster a proposed 330-mile hiking trail along the eastern escarpment of Tennessee's Cumberland Plateau, known as the Cumberland Trail. Powell was contacted to help raise awareness for its southern trailhead. He knew Signal Mountain's ridges and gullies like no one else, and as an Eagle Scout, he knew a trail should follow a land's natural contour lines. He had more than mapping experience; he had manpower. Soon, the Cumberland Trail became an ongoing project for his Scout troop. Today, 190 miles have been completed, with the northern terminus in Cumberland Gap National Historical Park and the southern terminus at Signal Point, part of the Chickamauga-Chattanooga National Military Park, on Signal Mountain. "There is evidence of him everywhere [on Signal Mountain]," Landrum said. "He was an incredible guy that devoted his life to [conservation]," Huffines said. "I feel like this whole community would be a different place if it hadn't been for his influence in the conservation community." Landrum said Powell's work "eases our walk into the woods that cleanse and cool the air we breathe. That is his legacy. Honoring Sam is easy. Take a hike, conserve, and speak for the trees."